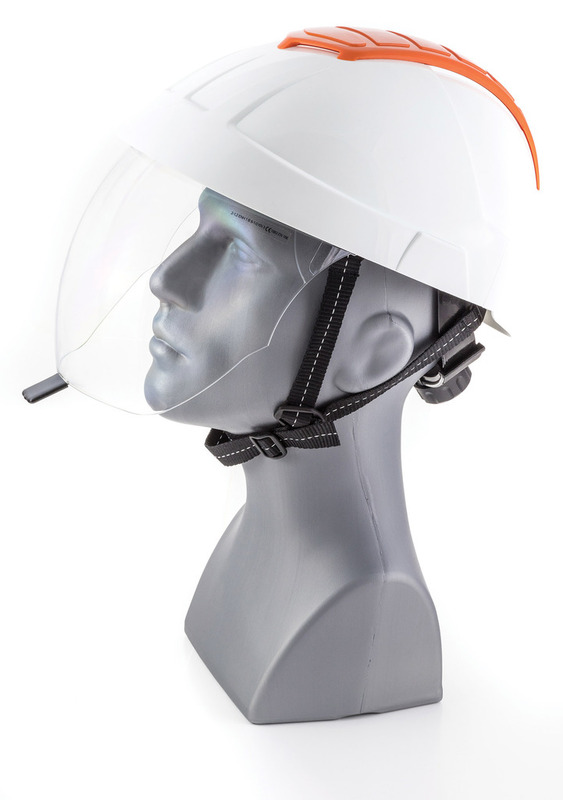 Award-winning safety helmet manufacturer ENHA – part of Globus Group - has launched two specialist helmets into the UK market to protect against the threat of short-term contact with electrical conductors, arc flash and molten metal splashes. Featuring ENHA’s patented Crashbox system, the E-MAN 4000 and E-MAN 7000 helmets are equipped with fully retractable visors protecting the entire face up to 4kA arc flash protection with the 4000 model and 7kA arc flash protection with the 7000 model. 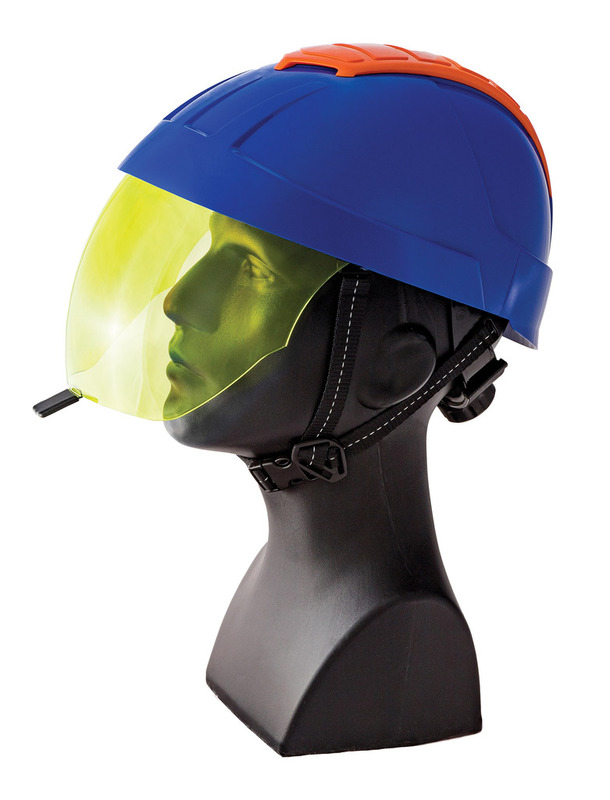 Both models offer combined face and head protection for electrical workers at risk of Arc Flash in environments such as substation maintenance, switching type operations and groundwork for the repair or installation of cables. Good light transmission and colour recognition is also delivered through both models, critical for electrical workers who often work in poorly lit areas and substations. Impact protection is delivered through the award-winning integrated, double-walled Crashbox impact absorption system located on the crown of the helmet, designed to absorb impact energy instead of the wearer in the event of an impact from above. It does this through specially designed cylindrical rods that drive into corresponding cylinders in a rotating motion when an impact occurs, bearing the force of the impact. 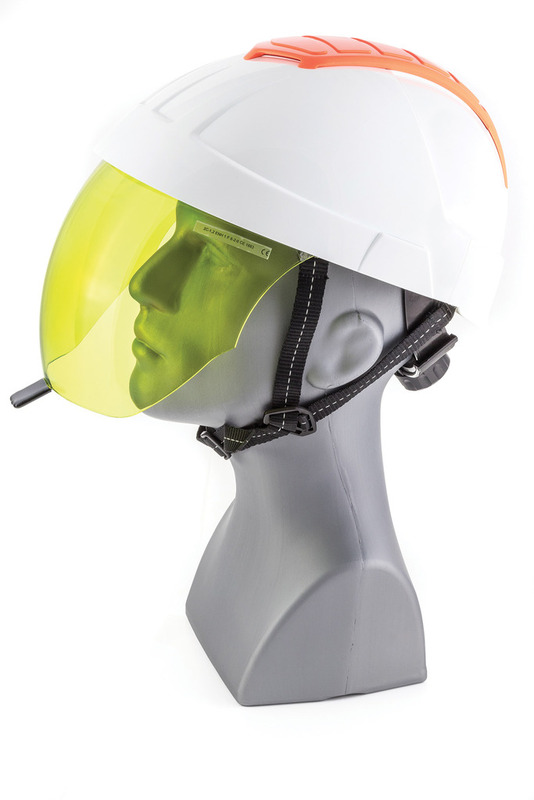 Designed and manufactured in ENHA’s German ISO 9001 certified facilities, E-MAN helmets are constructed from UV-stabilized ABS (helmet shell) with a Polycarbonate visor. Exceeding the EN397 standard, having been tested at very low temperature -30°C, E-MAN is also EN50365 certified for electrical insulation at voltages of 10.000 V and AC 1000 V / DC 1500 V and is metal splash and Molten Metal (MM) tested. The visors on both models are also certified to CE, EN 166 and EN 170. In addition, E-MAN 4000 has achieved the respected VDE mark. Wider user benefits include a padded ratchet adjustment system, which is quick and easy to use with one hand, even when wearing safety gloves, 30mm for accessories such as ear defenders and a 6-point textile (polyester) suspension harness which spreads the force of any impact, providing optimal fit & comfort by moulding to the wearer's head.